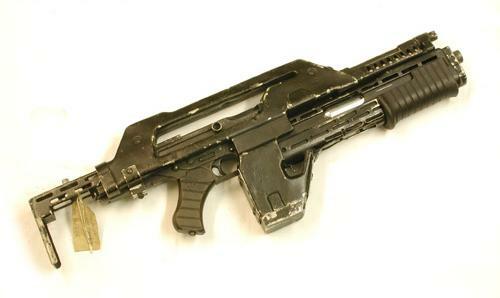 The Marines of the USCMC (United States Colonial Marine Corps) famously use the M41A Pulse Rifle as their standard issue weapon, a futuristic assault rifle with a magazine capacity of 95 rounds of armor piercing ammunition with a pump action 30mm grenade launcher underneath the barrel. This weapon was made from a M1 Thompson submachine gun with a Remington 870 shotgun underneath with the shroud and foregrip of a SPAS 12 covering it. 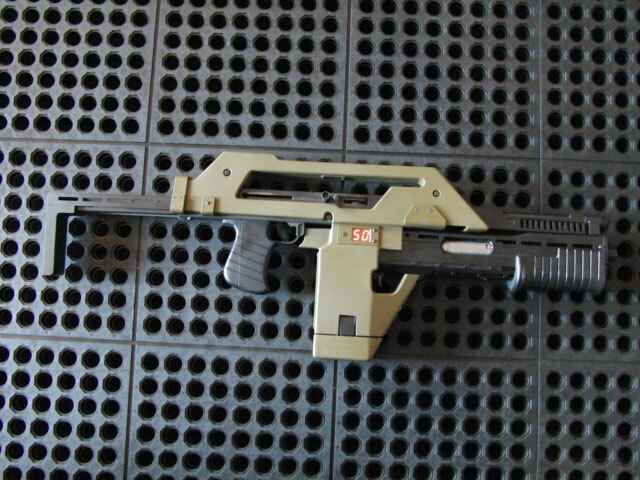 The video below doesn’t show a real pulse rifle… but it is the next best thing. Composed of a SWD M-11/9 submachine gun and a Remington 870 short barreled shotgun, it holds 50 9mm rounds via a Sumoi “Coffin” magazine and three 12 gauge, 2-3/4″ shells. That’s two in the magazine and one in the chamber. The MAX-41A also includes a red dot sight and digital shot counter, both of which power on with insertion of the magazine, as well as a collapsible stock. Pretty awesome that the shot counter works too! Definitely a neat franken-gun. Omigod, the tax stamp price! But I want one! So,if you don’t have the time,or resources to produce this firearm,why don’t you sell the design to a company who will make it?I wouldn’t mind becoming instant wealthy of a gun design that would sell like hot cakes even at a est. high price. I simply don’t get it. I don’t think the design is theirs to sell. 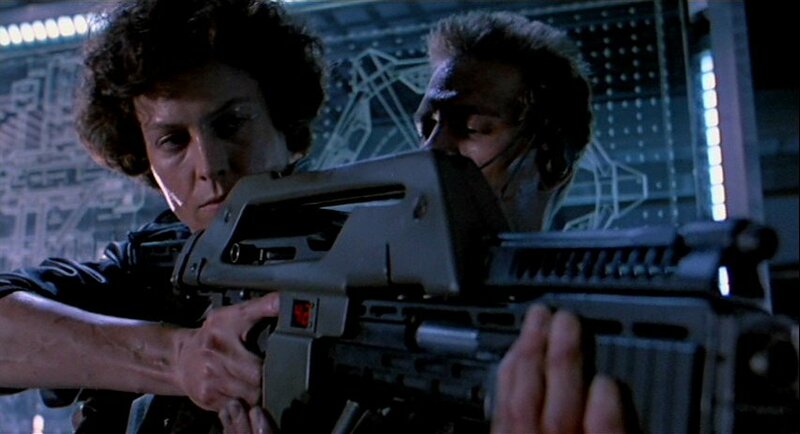 I imagine it’s property of the studio who made the Aliens movies. They would probably get sued if they mass produced it. I agree though, they should at least try working out some sort of licensing agreement because the demand is probably pretty high.